* On a normal day, just under 20 minutes drive to the Airport. * 100 Meters from the freeway is the Westlands Tar Road on the right - The "Ebubeleni" sign is on your left. 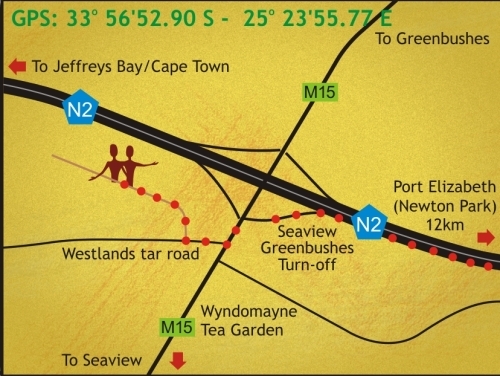 * 100 Meters down the Westlands Road, there is a gravel Road on your Right - Sign says "Ebubeleni"
* We are the fourth (4th) property on the right - Marked "Ebubeleni"
Download directions to Ebubeleni "port elizabeth place of hospitality"